Consevator Elizabeth Wicks and researcher Poiret Masse meet up at the Medici Archive Project to share new findings. 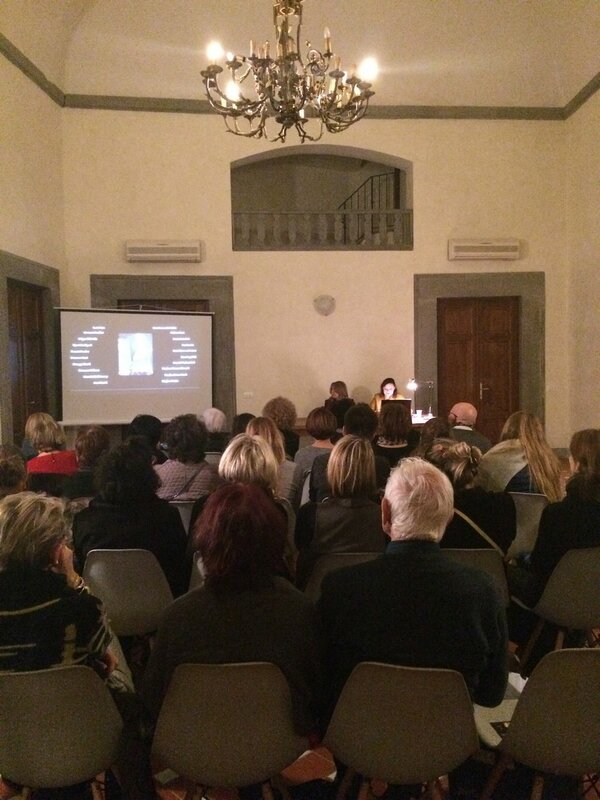 Artist Violante Siries shines during this lecture organized in tandem with the Medici Archive Project. This conference by Poiret Masse and Elisabeth Wicks honored eighteenth-century Florentine painter Violante Siries Cerroti on the eve of her 700th birthday. Co-authors of the book ”The Lady Who Paints”, Masse and Wicks shared their new discoveries while working with AWA to restore and research the artist’s works and recover her place in art history (January, 2017). The daughter of a prominent French goldsmith who went on to become director of the renowned Galleria dei Lavori in Pietre Dure, Siries was raised in the artistic circles of the Tuscan and French courts, Siries was the ‘perfect protagonist’ for this event.